The plot revolves around an Italian high school senior, Daniel Larusso, trying to fit in with a community mainly made up of blonde surfer dudes. Daniel and his Mum move to Resada in Los Angeles, and a friendly neighbour, Freddy Ferrandez, invites Daniel to a beach party. Here he meets up with a high school cheerleader, Ali Mills. They soon fall in love, but Ali's ex-boyfriend (a top karate student) becomes jealous, and starts to harass Daniel using his gang of friends from the training school as back-up. 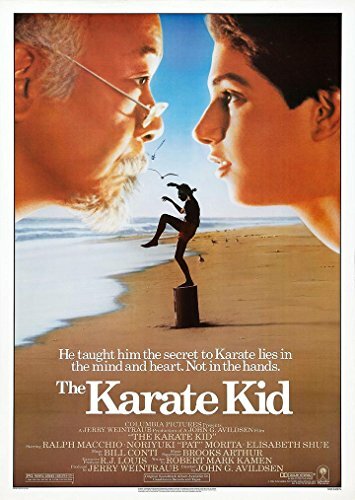 Daniel is beaten-up by the gang at a Halloween party, but is rescued by an elderly gardener/caretaker, Kesuke Miyagi, who uses his karate skills to fight off the boys. 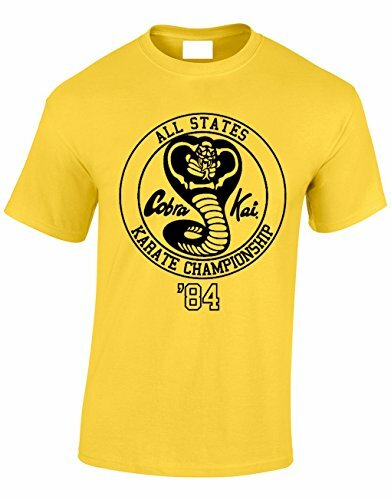 Daniel and Miyagi discover that the gang's violent attitude is being stirred-up by their teacher, John Kreese. They meet up with him to try and stop the bullying, but instead, Kreese challenges Daniel to a duel with Johnny. 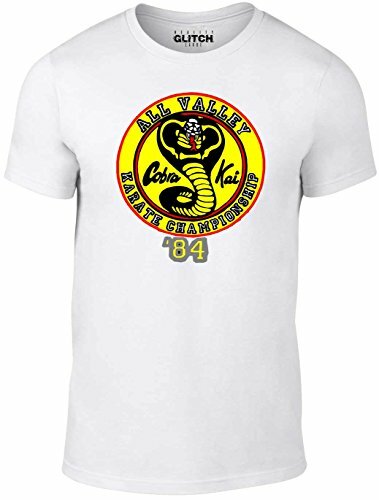 Miyagi suggests that Daniel should enter the all valley under 18 karate tournament, where he can compete with Johnny and the other Cobra Kai students, so long as the bullying ceases. Kreese agrees, but warns the pair that if they fail to turn up, then they will both become targets. With just months to go before the tournament, Miyagi starts training Daniel. However, the menial chores he is given (such as painting fences and and washing cars) irritates Daniel, and he begins to question Miyagi's methods. Myagi explains that the repetitive tasks help with muscle memory. A strong bond soon develops between the pair, and through his training, Daniel learns some important life lessons. Much to everyone's surprise, Daniel reaches the semi finals of the tournament. His next opponent is Bobby Brown, who Kreese instructs to make an illegal move by attacking Daniel's knee. Brown grudgingly does so, but finds himself disqualified. A physician examines Daniel and decides that he can't continue. However, Daniel is determined to beat his tormentors and persuades Miyagi to teach him a pain repression tehnique. With Johnny about to be declared the winner by default, Daniel limps into the ring to face him. After using a scissor leg move on Johnny's head, the match is temporarily halted when Johnny's nose starts to bleed. The match eventually restarts and when Johnny leaps towards Daniel, he jumps up and delivers a kick to his chin, winning the tournament. Johnny now has respect for his rival and takes the trophy from the master of ceremonies and delivers it to him. Daniel is carried off by a jubilant crowd. Mark's rating: As a typical teenager in 1984, I was a fan of fast-paced, mindless action films which featured major film stars. However, the Karate Kid was certainly not one of these films, but I was pleasantly surprised that I could enjoy such a movie. Yes, there are some excellent fighting sequences, but the coming-of-age story is heart-warming.